Pros: Pitch perfect voices turn a routine score into a good musical. Cons: The storyline is predictable and rather cliché, but it does what it says on the tin. Light, frothy musical entertainment that’s easy on both the eye and ear. 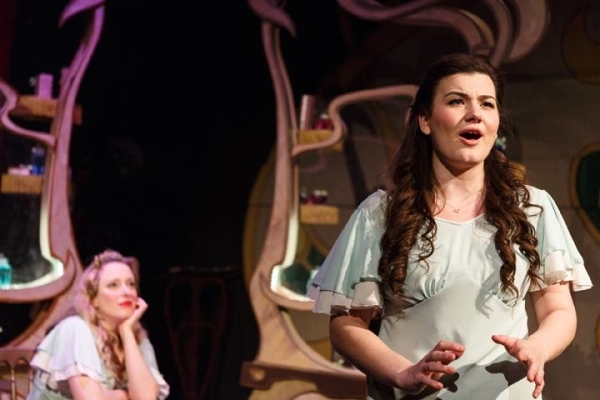 The Landor Theatre seems to have found a niche staging traditional West End musicals; in the wake of Ragtime, Follies and Damn Yankees, She Loves Me now takes its bow in the stylish South London venue. Based on the play Parfumerie, the story has been adapted many times for the big screen and provided star vehicles for James Stewart, Judy Garland and, most recently, Tom Hanks in You’ve Got Mail. It’s a simple but endearing tale of employees in a Budapest perfumery called Maraczek’s. Georg Nowack has a mystery lady as his pen pal, someone he has never met or even possesses a picture of. His friend Ladislav tries to sell him the idea of meeting her, but Georg prefers fantasy to reality. Meanwhile, Amalia Balash bags a job at Maraczek’s and would you believe it, Amalia also has a pen pal she’s never met. Georg and Amalia don’t hit it off and their relationship is rocky. Thus ends lesson one in musical theatre: boy meets girl but they hate each other for the entirety of Act One, even though they’ve fallen madly in love. Once you’ve gotten to grips with the first principle, the second lesson is blindingly obvious: halfway through Act Two, boy and girl realise they are in love with each other after all . . . Hurrah!. Aside from a couple of sub plots involving Mr Maraczek and the oily Mr Kodaly, that’s pretty much the story in a nutshell. Well, I know musicals don’t need a strong plot to work, but do they really have to be that obvious? 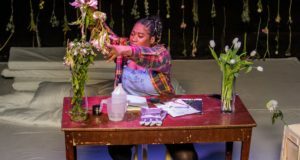 The songs are neatly composed and carry the narrative reasonably well, but nothing really stands out from the score and there’s no hit song to carry the show home. 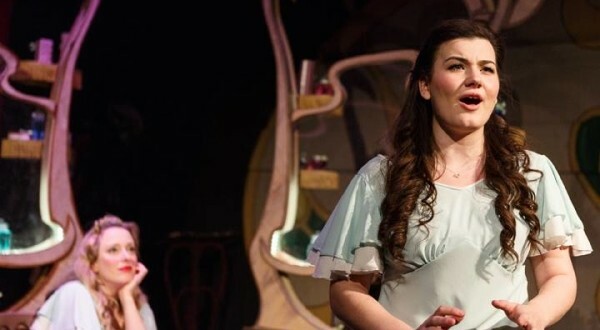 Fortunately, the casting is brilliant with the charming Charlotte Jaconelli as Amalia, displaying an impressive vocal range and John Sandberg as the nervous, likable Georg. 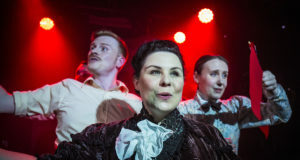 Ian Dring is a major force throughout, playing Mr Maraczek and a hilariously camp waiter in the nightclub sequence, which is reminiscent of Joel Grey’s performance as club MC in the film version of Cabaret. Other actors, including Matthew Wellman as Mr Kodaly and Emily Lynne as Ilona Ritter, provide solid support. Musicals usually crank up the feel good factor and that’s no bad thing, but She Loves Me overdoses on sugar to such an extent they should be selling candy floss in the bar. That said, the show is brilliantly staged and left the audience with a smile on its face. In an age where bad news is being delivered by the shedload, these shows are more important than ever. Long may they continue to divert our attention from the harsh realities of life, even if they cost us our teeth.